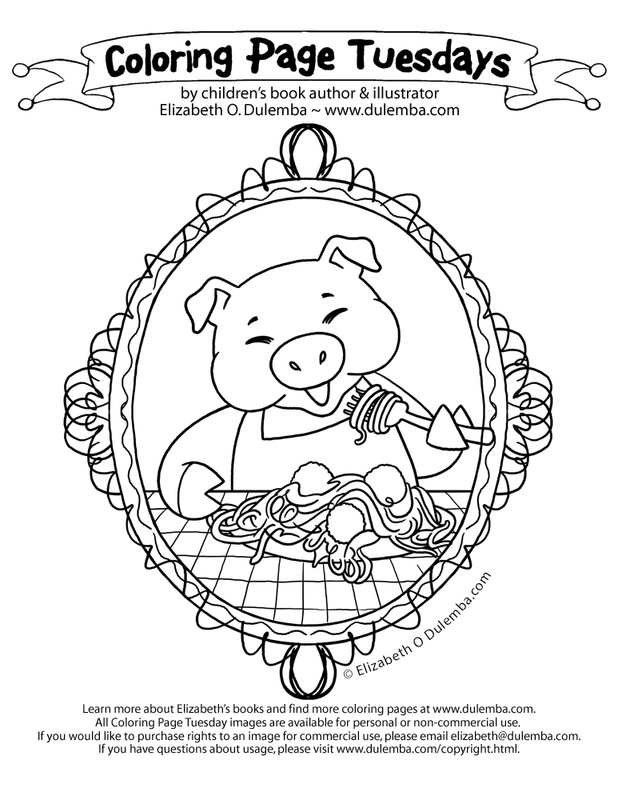 dulemba: Coloring Page Tuesday - Spaghetti! Coloring Page Tuesday - Spaghetti! I'm in Italy this week and this is what I hope I'll be doing! Okay, I'm gluten free, but I hear the Italians are very supportive of that since they were the original home of gluten-based decadence! I hope so!